Chewing on the side that hurts; The importance of making decisions quickly! The last few weeks have been painful – and that pain self-inflicted. 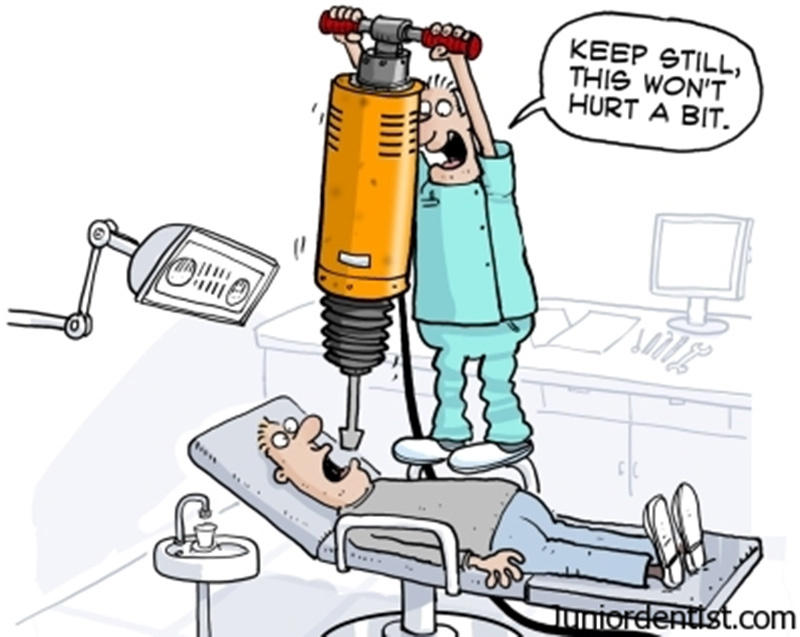 I have been to the dentist three times in as many weeks to fix a situation that could have been remedied a lot more quickly, cheaply and with less trauma, had I addressed it several months ago. Trying to get every piece of meat off a juicy lamb chop earlier this year, I chipped one of my teeth. I’m not really sure what the dentist would have done had I addressed the chipped tooth immediately, but I am sure it would not have been the three-step root canal that I had to endure recently. Before the procedure, aware of the chip and the pain, I decided to chew my food on the side that was not affected. This gave me a workaround in the short term, but caused irreparable damage in the long term. I think that this is a common mistake we make in many of the decisions we need to take. Instead of addressing small ‘chips’ immediately, we find a workaround and ignore the problem until it becomes an emergency. I think the answer to this is to be realistic and objective about the risks associated with leaving the matter unattended. To force yourself into addressing a small matter such as a chipped tooth, ‘chew on the side that hurts’ so that it ratifies the pain and necessitates immediate action. As entrepreneurs, many of us have little issues that never really make it to the top of the priority list because the consequences of not taking immediate action are either not clear or seem insignificant at the time. My suggestion to you is to take a moment and contemplate what the possible outcomes would be were that small issue to become bigger. If this small issue has the potential to become a huge risk to your business, then ‘chew on the side that hurts’ for a while, feel the pain that you will have to endure, and take action immediately. For some of you, the issue may even be a person on your team, or a supplier, who is not playing their part. Take a moment and contemplate for a while what will happen if this person does not change. How will it affect your business? If the picture doesn’t look good, stay there for a while, feel the agony associated with that problem and then take immediate action. Great entrepreneurs and leaders are good at making decisions because they make them often. They address little chips long before a root canal becomes the only option. The only way to become more decisive in these situations is to boldly start taking action. It will become easier over time and before you know it you will be making better decisions more frequently.